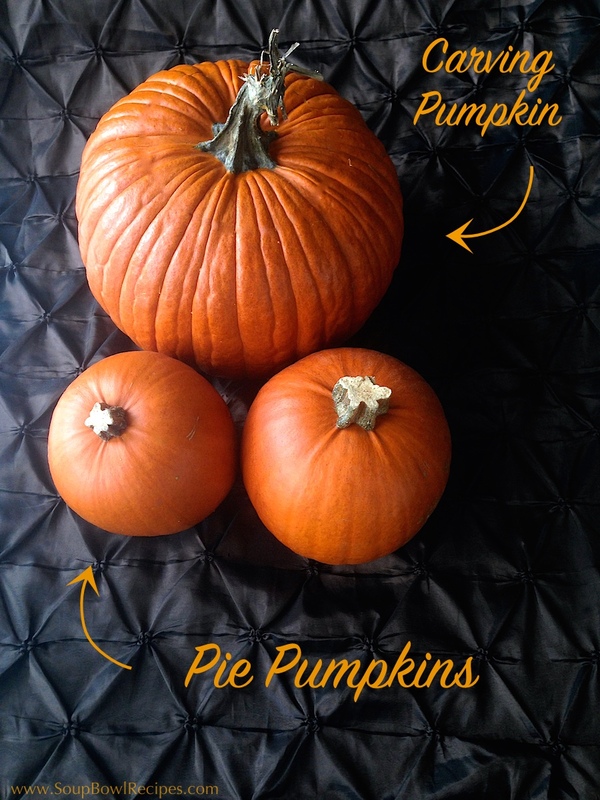 Not only are the pie pumpkins smaller and more easy to manage in your kitchen, but they’re much sweeter and more flavorful than the larger varieties. If in doubt, just remember: if its too big to carry, its too big to cook. Preheat oven to 425°F. 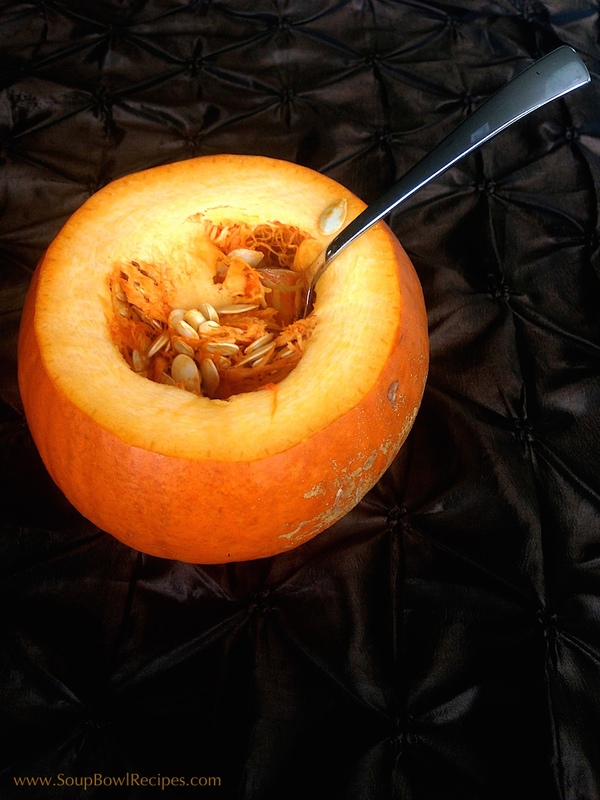 Cut off the top of the pumpkin and scoop out seeds and guts; discard innards and reserve seeds for roasting and snacking on later (*see how to at the end of this post). 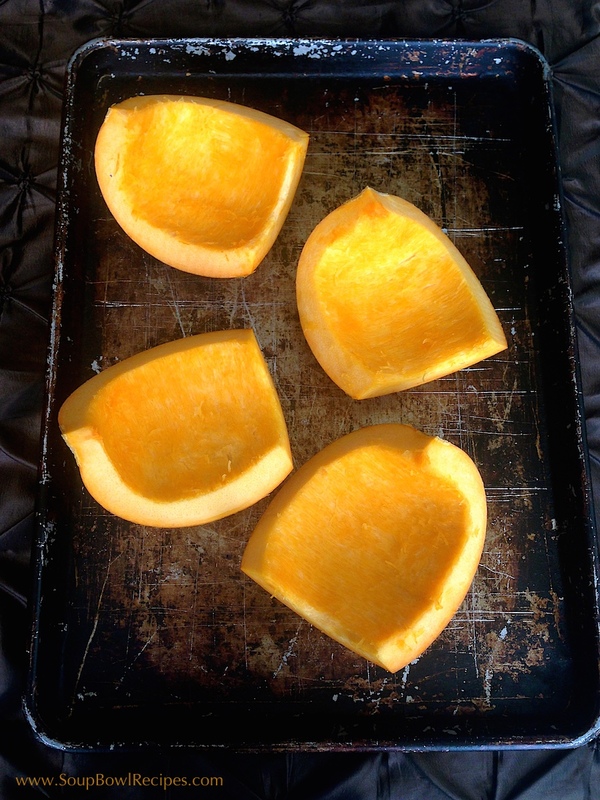 Cut pumpkin into quarters and brush both sides with olive oil. Place on a large baking sheet and generously sprinkle with salt. 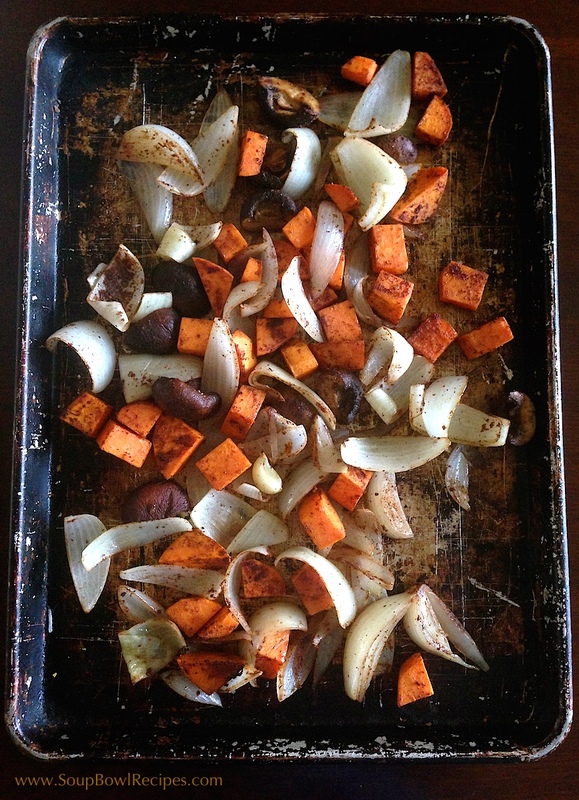 Add the remaining cut vegetables to a second baking sheet and toss with 2-3 Tbsp olive oil, sprinkle with cinnamon, nutmeg, cloves, ginger, and salt; toss to combine. 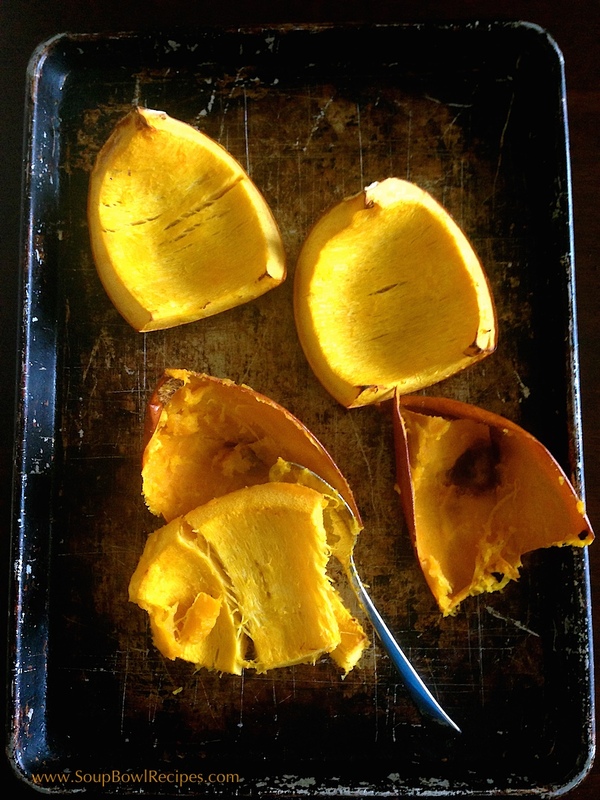 Roast pumpkin wedges and vegetables for 30 minutes, or until fork tender. Remove from oven and allow to cool slightly before proceeding. 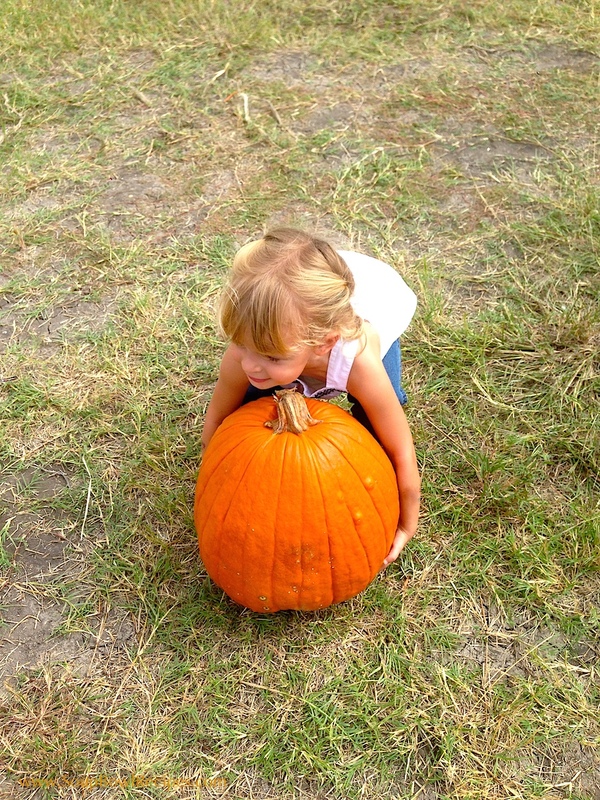 Once the pumpkins are cool enough to handle, use a large spoon to separate the flesh of the pumpkin from its skin; discard skins. Add garlic powder, paprika, chili powder (if using), salt, and pepper; stir to combine. 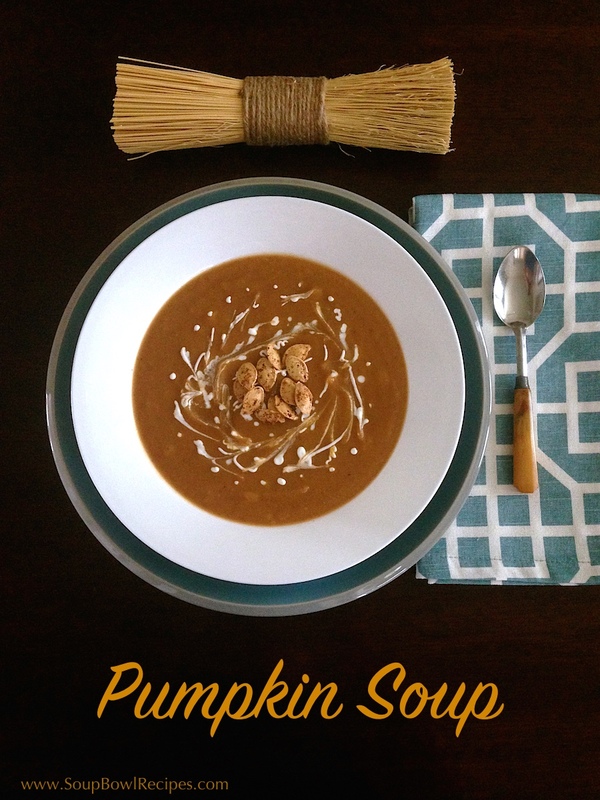 Mix in sour cream, then taste the soup and season as necessary. 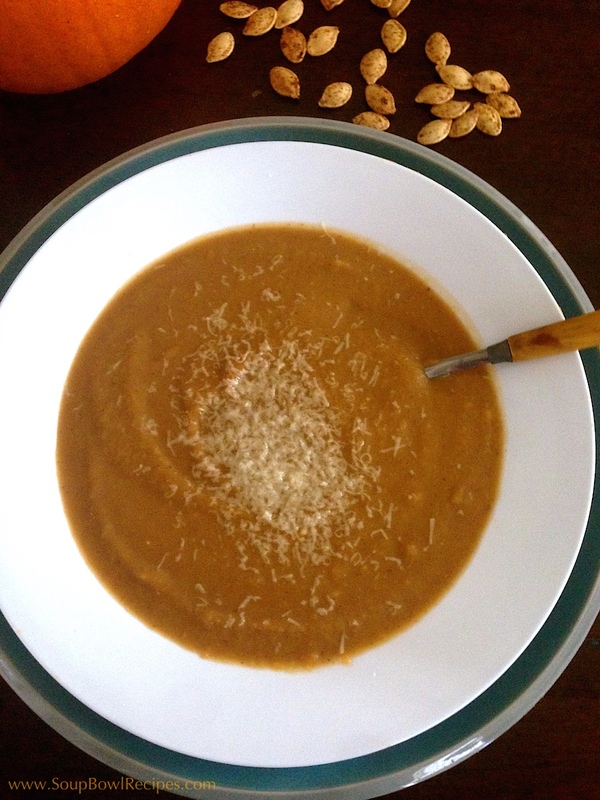 Ladle soup into preheated bowls and garnish with grated parmesan cheese, or a drizzle of sour cream and some roasted pumpkin seeds. 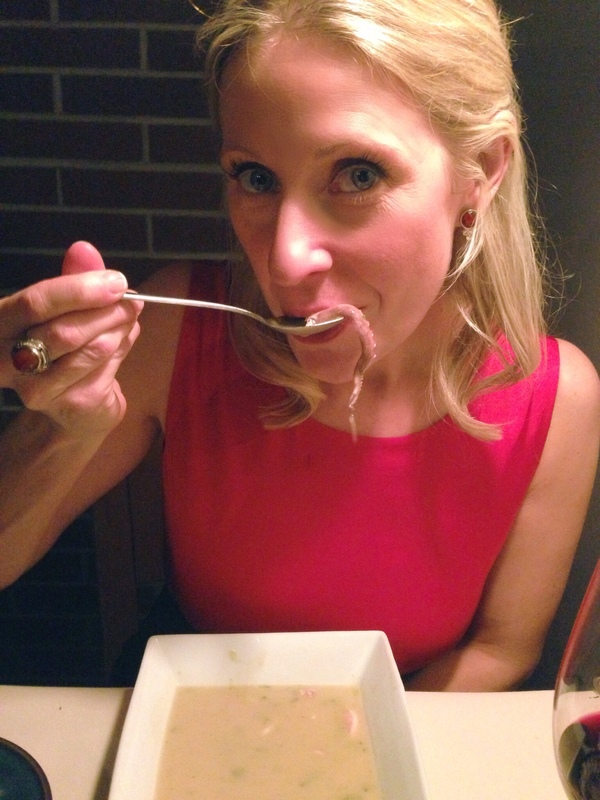 Sidekick: This soup tastes amazing with a Sam Adams Boston Lager or a chilled glass of Chardonnay, a dry Riesling, or a sweet Gewürztraminer. Preheat oven to 375°F. Clean pumpkin seeds thoroughly. Place seeds in a pot of salted water and boil for 10 minutes. Drain seeds and spread them out on a clean kitchen towel; allow to dry. Toss dry seeds with 1 tsp of olive oil and spread in a single layer on a baking sheet. Generously sprinkle with salt or another desired seasoning (see suggestions below) and shake pan to coat. Roast for 10-15 minutes or until lightly toasted – be sure to keep an eye on the oven as they can go from golden brown to jet black in a matter of a few minutes.